Joshua Rutherford's New Book, "Kinghood," is the Start of a New Fantasy Series and Centers around Prince Jameson, his Family, and kingdom. The Story is Well-Crafted with Mystery, Intrigue, and Action. The Book will officially launch on Wednesday, August 29, 2018. 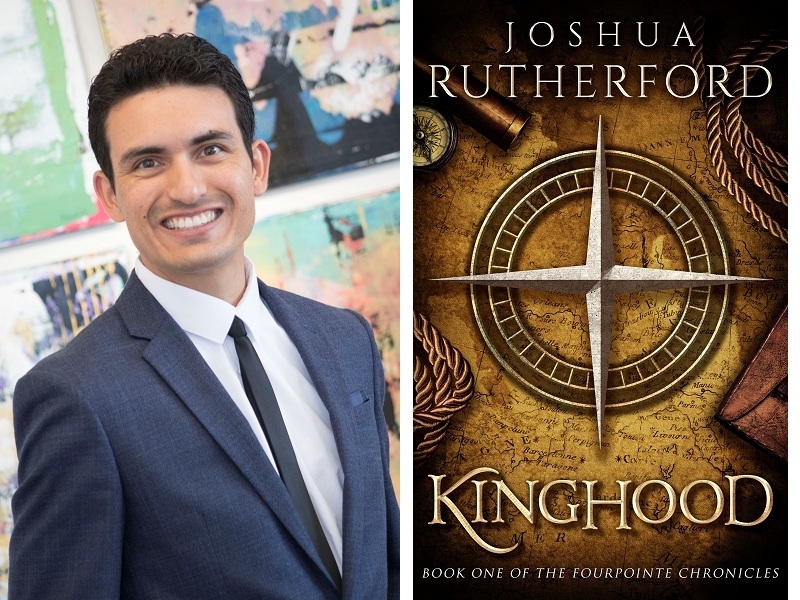 Joshua Rutherford is the Successful Author of "Sons of Chenia," released in 2014 and "Ashes," released in 2017. Both his Fantasy Novel and Sci-Fi Manuscript were Well-Received, garnering Outstanding Reviews, with one Reviewer comparing Rutherford to Tolstoy and others saying, "The Character was fascinating and the World Rich, Vivid, and Well-Built;" and "This Author knows his Way around a Story, World-Building, and Character Arcs." In "Kinghood," Prince Jameson has been groomed to reign and commands his Father's Army to Victory over Barbarians from a Nearby Nation. He returns Home a Savior, but there is much Lurking beneath Jameson's Royal Facade. A Fantasy Tale of Intrigue, Diplomacy, Coups, Assassinations, and Brotherhood is told in this First Entry of The Fourpointe Chronicles. Joshua Rutherford's "Kinghood" will be released on August 29, 2018 and available on Amazon.